The port city of Ensenada, Baja California, Mexico showcases its gastronomic bounty from the Pacific to its five wine valleys again this year during the 20th Festival de las Conchas y el Vino Nuevo (Festival of Shellfish and New Wine). It’s a prime opportunity to sample oysters, clams, mussels and more from the sea, as well as taste an intoxicating lineup of new wines – primarily whites, rosés and young reds – from the municipality’s award-winning vineyards. The festival, organized by professional wine association Provino, runs from April 29th through May 5th. Highlights include aquaculture workshops, shellfish and wine tastings, a series of themed dinners at some of the region’s top restaurants, sea tours, a parrillada (grilling) feast and the Festival itself — to be held at the Hotel Coral and Marina on Sunday, May 5. Provino president Fernando Perez Castro. Photo: Provino Baja California. This year’s festival will also include two new experiences: A surfing contest held during the Parrillada on Friday, May 3, and cuisine prepared by invited chefs from the event’s first-ever guest country, Australia. It’s an impressive lineup with three Michelin-starred Aussie powerhouses: Monty Koludrovic of Icebergs (Sydney), Duncan Welgemoed of Africola (Adelaide) and Rob Cockerill of Bennelong (Sydney). 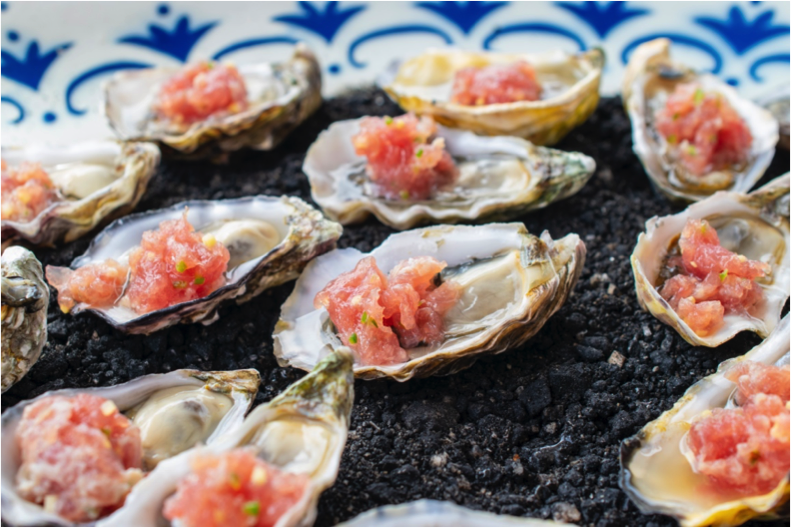 Invited chefs will work with Baja California’s culinary talent to create the themed dinner series which will be held at restaurants in Ensenada as well as the Valle de Guadalupe. Baja California chefs participating this year include Anthony Petracca of Da Toni, Benito Molina and Solange Muris of Manzanilla, Roberto Alcocer of Restaurante Malva and several other notable cocineros. An important part of the festival are the various aquaculture workshops, tours and shellfish tastings, where guests can get a first-hand look at and sample seafood from the region’s oceanic farms. This includes aquaculture workshops throughout the week at UABC, an oyster tasting at restaurant Muelle 3 on Monday, April 29th and a tour of local mussel farms on Saturday, May 4th. Events include an oyster tasting at restaurant Muelle 3. Photo: W. Scott Koenig. 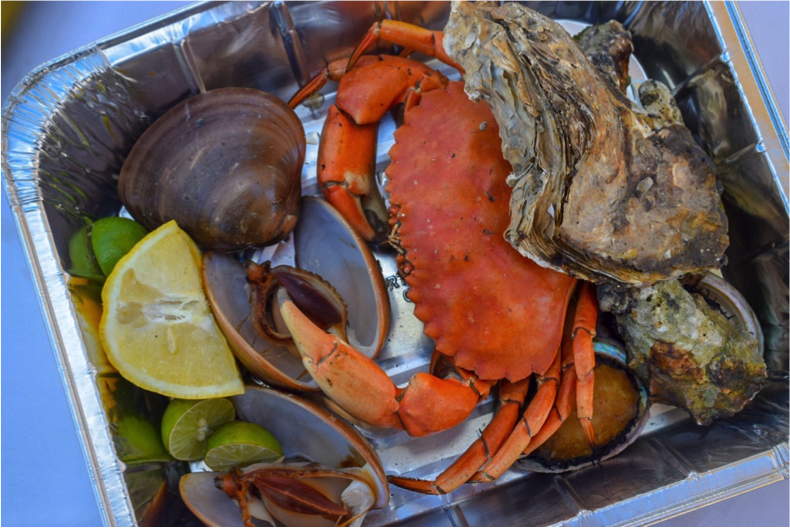 The Parrillada, held on Friday, May 3, is the public’s chance to purchase a surprisingly affordable variety of shellfish and then grill them to perfection at Playa San Miguel. If you’re grilling adverse or need some pro tips, a number of the region’s culinary students are onsite to lend a gloved hand. Chef demos occur throughout the day, and vintners abound offer tastings of their new vintages. A bounty of shellfish at the 2018 Parrillada. Photo: W. Scott Koenig. The event culminates in the Festival de las Conchas y el Vino Nuevo held on Sunday, May 5th at the Hotel Coral and Marina in Ensenada. It’s the most popular event of the week, so get your tickets early. “Last year, we had 1,300 guests at the Festival,” according to Perez Castro. “This year we expect around 2,000.” During the festival, guests can sample shellfish and wine from 20 aquaculture producers, participating restaurants, and 64 wineries. Kris Magnussen-Shute and Adam Shute of winery Lechuza. Photo: W. Scott Koenig. As an underlying theme, event organizers and participants will emphasize the importance of sustainability and care for the environment. 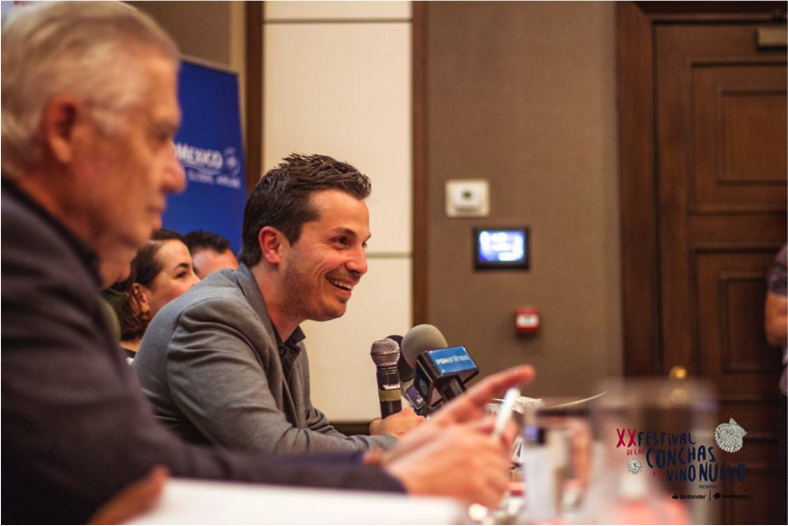 Topics range from best practices for sustainable aquaculture to the city’s new “Sin Plastico” (no plastic) movement away from the use of plastic utensils and carry-out bags. 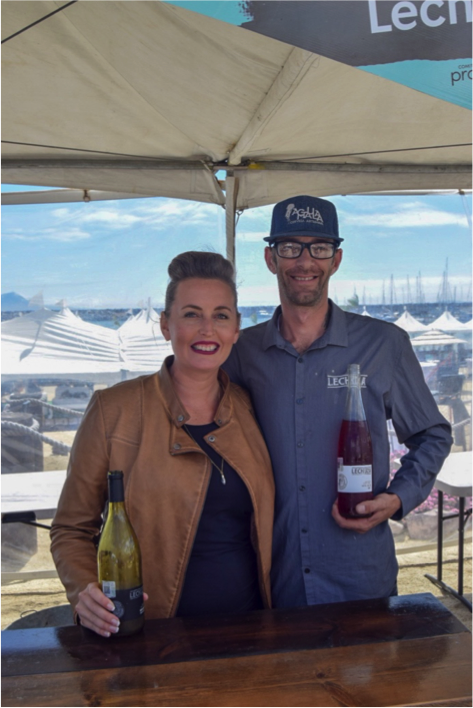 The Festival de las Conchas y el Vino Nuevo is an excellent introduction to the bounty of Ensenada’s sea and valleys for the first-time attendee, and a great way to check out new wines not yet in commercial production for the repeat visitor. For more information on the festival and to purchase tickets, visit the event’s Facebook Page or Website. Conferences and Aquaculture Supply Expo. UABC, El Sauzal, 4th Floor DIA building. Oyster tasting of 6 aquaculture producers. Educational activities on product management: how to open oysters and demonstrative cooking with guest chefs. Tasting of white and sparkling wines. Wine tasting from 1:00 p.m. to 3:00 p.m. Conferences and Aquaculture Supply Expo. UABC, El Sauzal, 4th Floor DIA building. Free admission. 3:00 a.m. to 7:00 p.m.
Tasting of mussels in perfect harmony with rosé wines and young reds, having the sunset and the sea as a stage. Wine tasting from 3:00 p.m. to 5:00 p.m. Cost: $ 500.00MN (Approx. $29US). Chefs: Anthony Petracca (Da Toni) and Alex Méndez (Sister Republic, Mérida). Da Toni Restaurant. Reservations: 011-52-646-113-4338. Chefs: Benito Molina/Solange Muris (Manzanilla) and Rob Cockerill (Bennelong, Sydney, Australia). Manzanilla Restaurant. Reservations: 011-52-646-175-7073. Chefs: Miguel Bahena (Madre) and Paul Bentley (Magno Brasserie, Guadalajara). Madre Restaurant. Reservations: 011-52-646-977-5608. Place: Playa San Miguel. Attendees cook their own shellfish, seaside. Wine tasting of 62 wine houses. Host chef demonstrations. Gastronomic experiences by renowned chefs, winemakers and aquaculture producers. Wine tasting from 1:00 p.m. to 4:00 p.m. (or until supplies last). Cost: $ 600.00MN (Approx: $35US). Gastronomy Students: $ 300.00MN (Approx: $18US). Pier of the Coral & Marina Hotel. Illustrative tour by yacht to the mussel farms. Cost: $ 600.00MN (Approx: $35US). 12:00 p.m. Chefs: Diego Hernández (Corazón de Tierra) and Esteban Lluis (Cala, San Francisco). Corazón de Tierra. Reservations: 011-52-646-977-5538. Chefs: Javier Plascencia (Finca Altozano) and Duncan Welgemoed (Afrícola, Alelaida, Australia). Restaurante Animalón. Reservations: 011-52-646-156-8045. With the sea as the stage, this great closing event brings together gastronomic samples from 20 aquaculture producers and 60 regional and national restaurants. More than 60 local vineyards offer tasting of new labels that have not yet been released to the market. Gastronomic experiences by renowned guest, winemakers and shell producers. Tasting of food and wine as supplies last. Cost: $ 900.00MN (Approx: $53US). San Diego-based lifestyle writer W. Scott Koenig is founder of the blog AGringoInMexico.com, author of the book 7 Days in The Valle: Baja California’s Wine Country Cuisine and has written for Discover Baja Travel Club, Destino Los Cabos, DiningOut San Diego and SanDiegoRed. 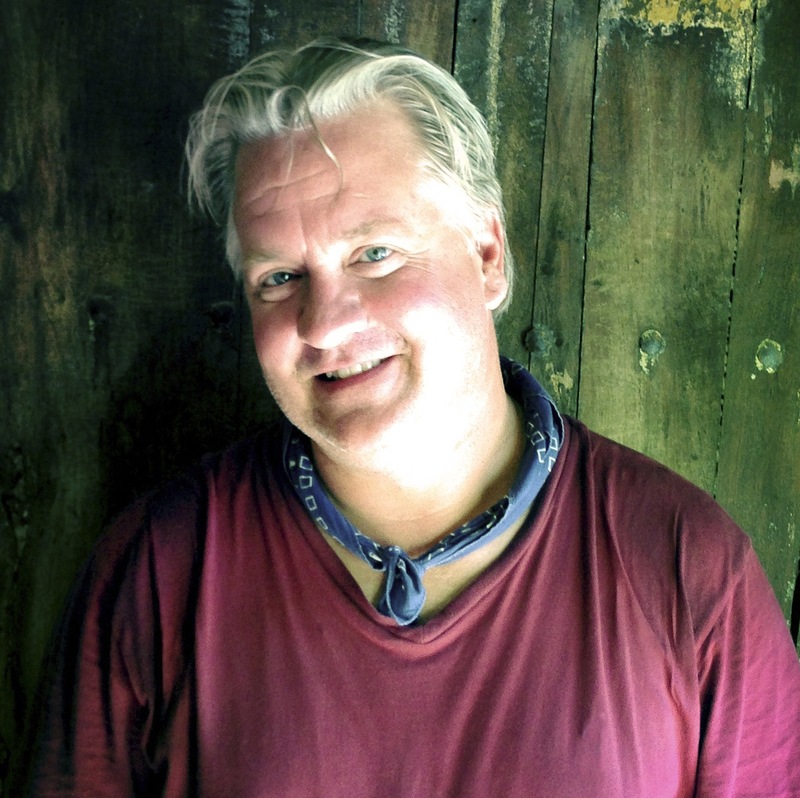 Scott organizes and conducts professional and private culinary tours of Baja California and has assisted with film and video productions in the region. He has worked with the Food Channel, the BBC, KPBS and the Culinary Institute of America (CIA).